Find the code attached to your jewelry and enter it to get your appraisal. Click The Diamond To Appraise Your Jewelry. Jan 3rd, 2018: Congrats to Steph from Peterborough who just revealed a $9000 ring! Dec 2nd, 2017: Two gifts in one! - Feisty Frugal & Fabulous. May 3rd, 2017: Hidden Gems make great gifts for Mom! 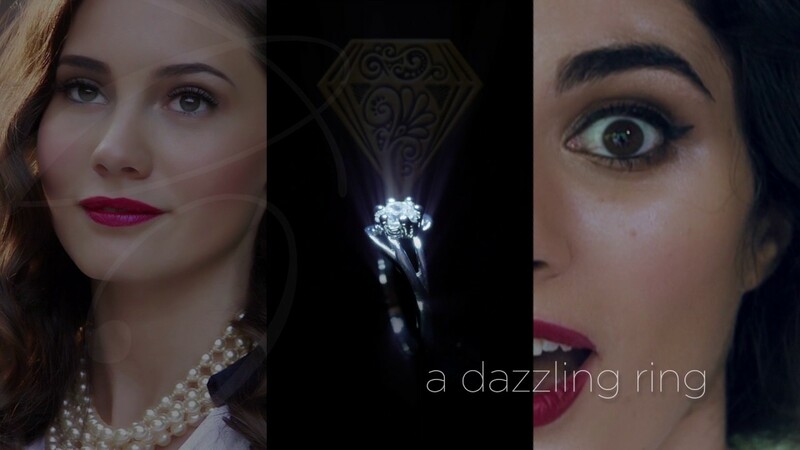 Jan 2nd 2017: OMG watch this Hidden Gem reveal a $5000 ring! Oct 18th, 2016: CHCH talks “Girls Night In!” with Hidden Gems Candles and Bath Bombs! 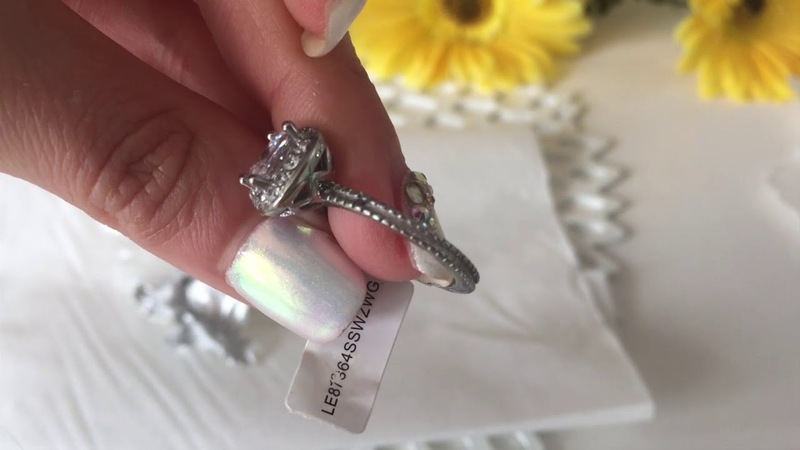 April 19th, 2016: Check out this Hidden Gems ring reveal! 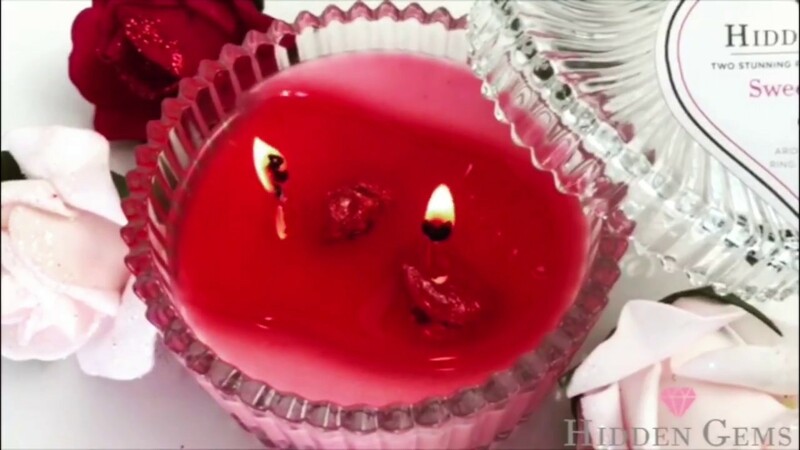 Sit back and relax with a dazzling scented Hidden Gems Ring Candle. Melt away tension and stress at home or anywhere you go. Each Hidden Gems candle uses the highest quality natural oils to produce a surreal scented experience. Made of a high quality soy wax blend, under strict quality control and hand poured to exact standards, these rich candles are designed with two natural cotton wicks that burn longer and purer. Best of all, inside of each Hidden Gem is a beautiful ring, waiting to be found by you or that special person in your life. Burn your candle until you see the foil. Snuff out the flame and let the wax cool for a moment or two. Remove the pouches with a pair of tweezers. Place this on a non-burn surface and allow to cool down. (We recommend at least 2 minutes). Your Hidden Gems will be packed inside of plastic bags inside of the foil to preserve the jewellery. Simply remove from the packaging and enjoy! Every Hidden Gem Ginger Pear Aroma Candle contains two dazzling rings valued between $10 to $9,000 each. Rings will come randomized with sizes between 6-8. Did you uncover a $9,000 ring? Simply locate the code affixed to the tag on your ring and visit www.hiddengems.ca for more details.